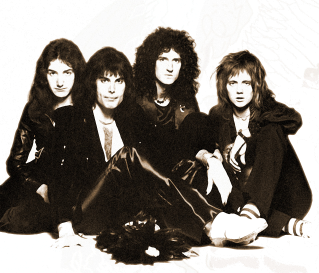 The fan club has been in existence for 44 years this year - 2018 - and was set up to cope with the huge demand for information on Queen. That demand is still there, and the fan club has gone from strength to strength. We still provide full colour, printed magazines, downloads, exclusive members only deals and much more. I have had the pleasure of being in charge of the fan club for 35 of those years! We organize many events for members, including our annual Convention which takes place over three days... and it's nothing but Queen from dawn til dusk! We also organize regular parties to celebrate Freddie's birthday in September, Christmas parties and a host of other fun things...a visit to Montreux to see Freddie's statue perhaps? A Trip to Holland to attend their fan club event? Did you miss that ticket to Wembley in 1986? Couldn't get through for a Freddie Tribute ticket? Missed out on the Queen+Paul Rodgers tickets? Wanted to attend a We Will Rock You musical premiere somewhere in the world? Wanted good seats for Queen+Adam Lambert? We had tickets for all of these things and more for our members! Just as we secured tickets for Queen shows in the past, and will do for any planned for the future! The fan club is like a extended "family" for all Queen fans - our Members Only website has a friendly forum and chat room, and all our members are happy to share their love of all things Queen with everyone!